A new year deserves new sparkles. Happy Birthday January babies!! Your beautiful birthstone is a Garnet. The January Birthstone is not a single mineral, but describes a group of several closely related minerals which come in a variety of colors and have many different varieties. However, the most widely-known color is dark red. 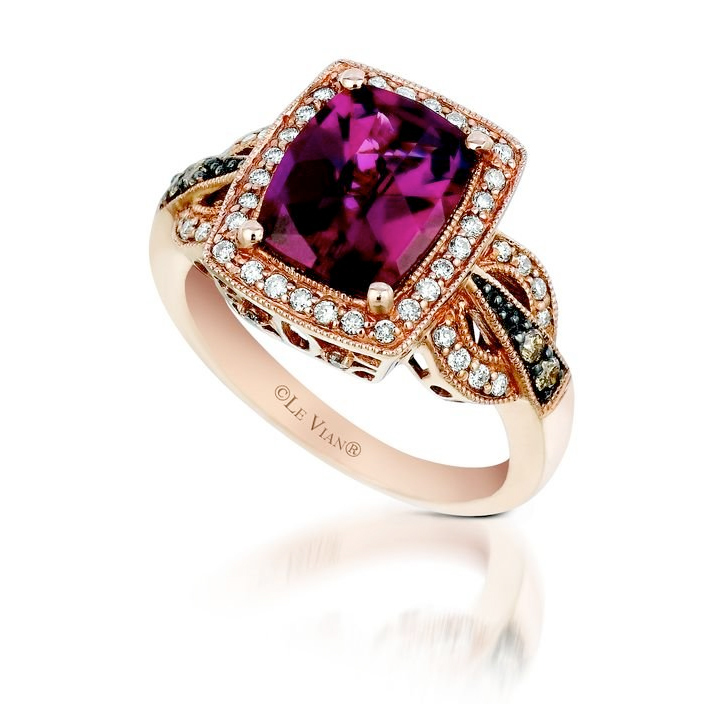 When the term “Garnet” is used, it is usually connotative of the dark red form; other colors are usually given more descriptive gemstone terms. This month’s birthstone comes in all types of jewelry large and small. Here at Brock’s Jewelers we offer the highest quality Garnet jewelry offered on the market at the most reasonable price you’ll find anywhere. Garnet has long been thought of as a travelers’ stone. In fact, Noah’s Ark is said to have had a garnet lantern to help navigate during the night. In traditional Hindu belief systems, garnet is associated with the first chakra, or the “root chakra”, which is positioned at the base of the spine. The root chakra when clear is associated with healthy sexual activity and feelings of security and stability. January’s birthstone is also thought to promote successful business, encourage compassion and aid self-confidence. It is said to have the ability to heal the blood and encourage good circulation, and is the traditional birthstone for January, the zodiacal stone for Aquarius and the second anniversary stone.